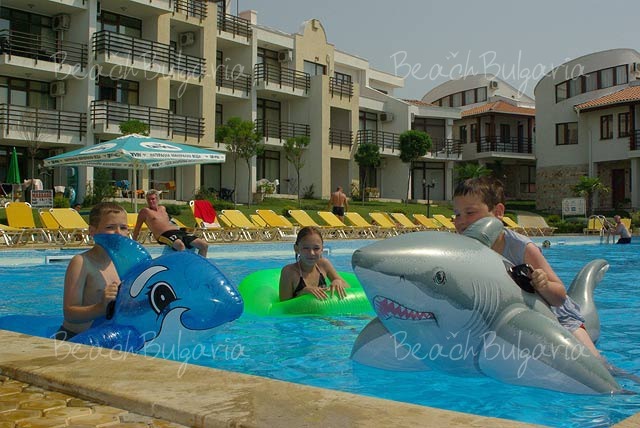 Location: Diamond hotel complex is located on the first line, next to the Marina Dinevi yacht port in St. Vlas resort. The complex is situated on an area of 24000 sq.m among naturally green gardens. 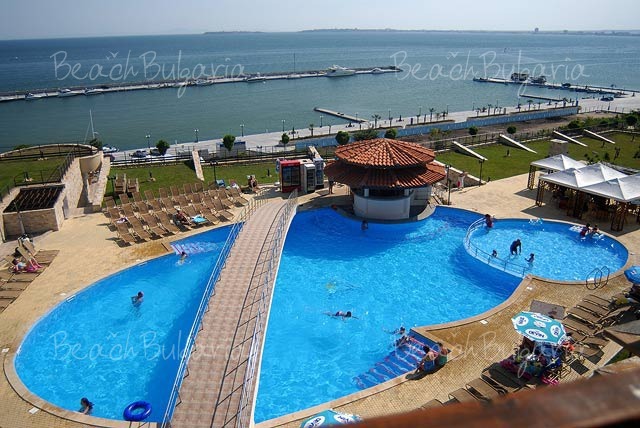 It offers a unique view towards bays of Sunny Beach and Nessebar. 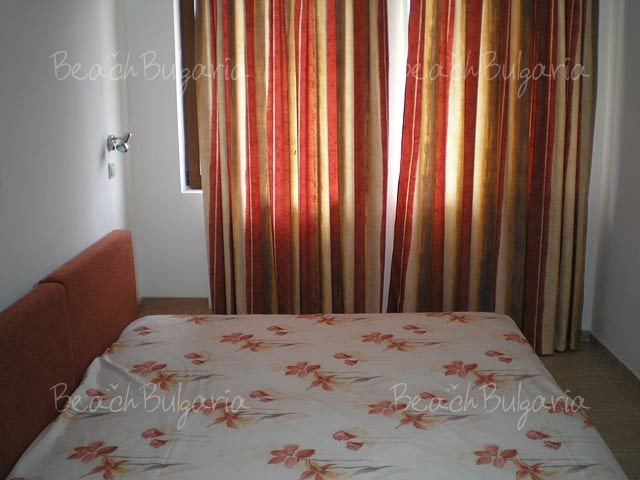 Accommodation: The complex features fully furnished 1-bedroom and 2-bedroom apartments. 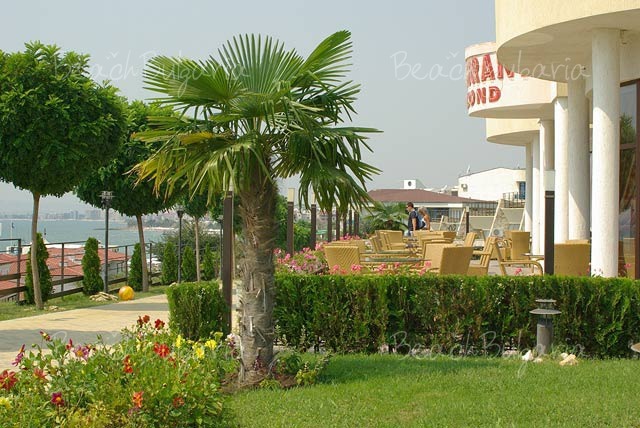 Each apartment offers complete set of kitchen facilities, spacious living room, cable TV, terrace with sea view. Bedroom: 2 single beds or one double bed, a dressing table with mirror and chair, a wardrobe, a chest of drawers, air-conditioner, duvets, pillows, bed linen, towels. Living room: a small table, an armchair, a kitchenette, a dining table with chairs, a TV set. Kitchen: a fitted kitchen, cupboards, a kitchen sink, an oven with hot-plate, a refrigerator, an air-refreshing machine, a coffee machine, a toaster, a full set of kitchen utensils, an electric kettle, glasses, cups, plates, cutlery. 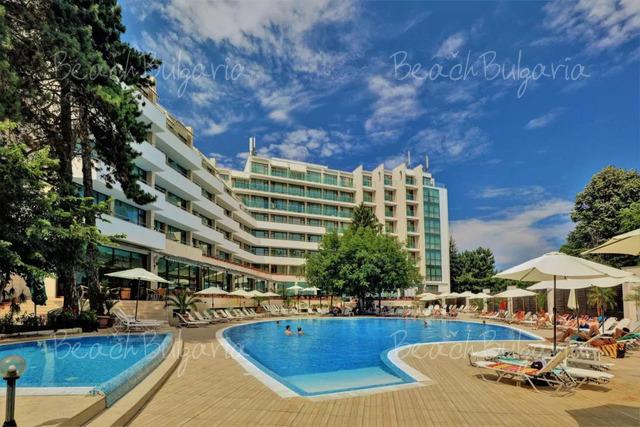 Facilities: The complex offers 2 swimming pools, fitness hall, piano bar, aqua bars, internet hall, sauna, solarium, beauty salon, hairdresser, currency exchange, supermarket, parking lot. Maximum capacity: 1-bedroom apartment: 4 adults; 2-bedroom apartment - 6 adults. Please, post a comment on Diamond Aparthotel.